Hiya from the USA!!!! 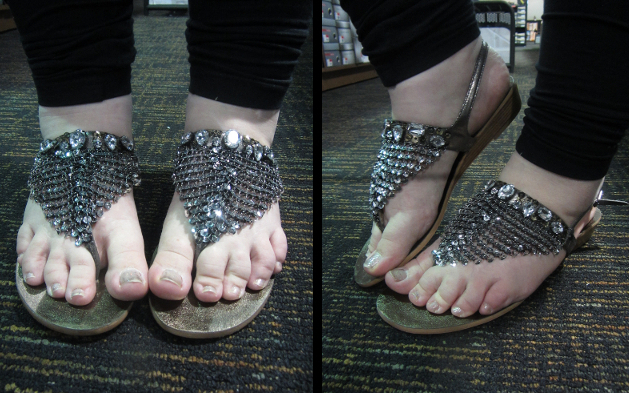 This week's Fatshion Faceoff challenge item is flat sandals! We have just flown into Los Angeles this morning and I stuffed up my post timing- so apologies to everyone for my post tardiness!! We were fresh off the plane today and I headed straight to the shops; I think the night shift worker in me has survived the 14 hour flight much better than Ben! I picked up a super cute pair of new sparkly flats for $20 and thought that they were pretty enough to deserve this post! They have cute diamanté detailing and sequins made to look like chain metal. I really liked the contrasting types textures and they way that clashed. 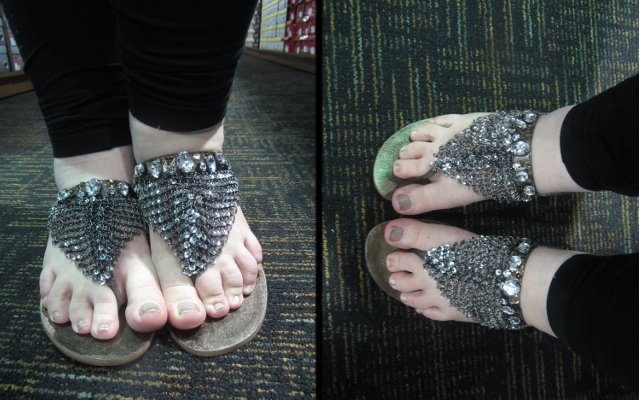 The sequin 'chain-mail' is also surprisingly light and doesn't weigh down the shoe at all. At $20 I thought these were an epic steal! (and they also went well with my silver glitter toe polish ;). We were pretty much literally straight off the plane- so I know I am looking far less than glamorous! No makeup, sloppy tank and daggy hair... well at least my shoes are fab! This outfit is so comfy though, it made perfect travel wear! 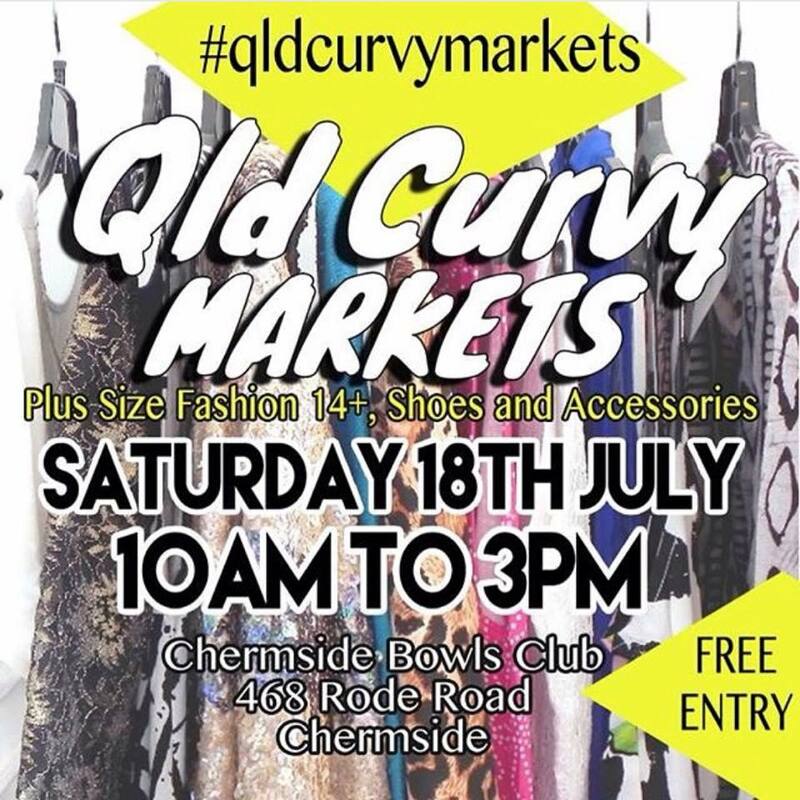 Check out all the Fatshion Faceoff babes too- I'm sure they will be so utterly fabulous it will make up for my bed hair! Gorgeous sandals. Hope you're having fun in LA. We went there as part of our honeymoon, so it brings back a few memories! Have a FABULOUS time - looking forward to LOADS of pics!! oh my goodness, these are just divine! I am not normally a sparkly girl but i could make an exception for these! Cute shoes! :) I am impressed with your shopping power - shopping right off the plane! I have to shower before I feel normal after a long flight! So, so, so perfect! I love them. Those sandals are gorgeous, and I have to say you look great for just coming off a long plane journey! From wright of the plain you look so cool :), and those sandals are so cool. These are really cute! I hope you have fun on your trip! Gorgeous sandals, I love anything chain metal. What brand are these?! I have been looking for them when I saw them in a size too small for me but I loved them!